Galaxy Note 10.1 is a popular Android Tablet released in 2012. The tablet was the best in its productivity features. Now this tablet is getting a little old and also the OS updates are stopped releasing for this device. 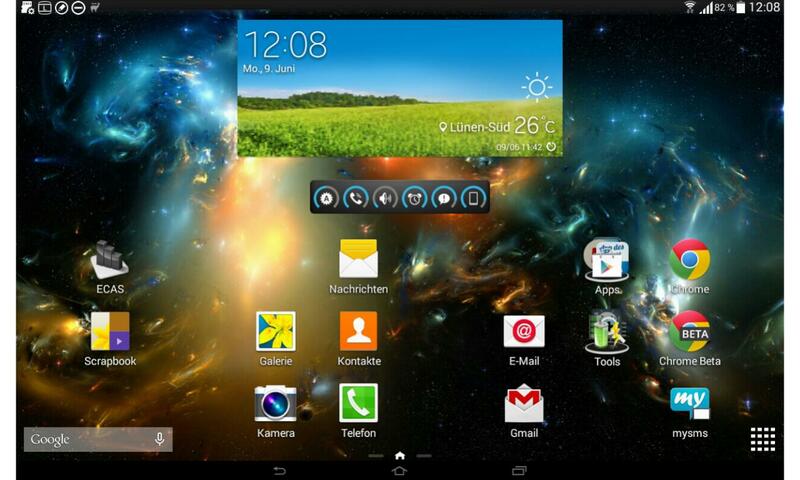 So, if you are the one who always wants to try something new then Gnabo Rom is best for your tablet. You may be familiar with the Custom Rom. A custom rom is the custom build OS for your device with customized features and design. Today I will show you how to Install Gnabo Rom on your Galaxy Note 10.1 GT-N8000. Gnabo Rom is packed with ton of features and is quite stable. It runs perfectly on the Note 10.1 with amazing performance. The Gnabo Rom is based on 4.4.2 Kitkat OS with some other improvements like Galaxy Tab 4 UI and Note 10.1 2014 Edition features like multi window, air command. All the Credit goes to the famous XDA-Developers. I will show you the complete way of how to install Gnabo Rom on your Note 10.1. But for installing the Rom on oyur device you will need any custom recovery like TWRP or CWM. So, let’s begin to the tutorial of installing Gnabo Rom on Galaxy Note N8000. Gnabo Rom is a pretty cool custom rom. It has a ton of features and customizations. The rom is based on 4.4.2 kitkat OS but it has it has some other cool features from 2014 edition Note 10.1 and Galaxy Tab 4. The rom has Galaxy Tab 4 UI and browser, Quad Multi Window, Air Command, scrapbook. Galaxy S5 effects, animations, power saving modes, s-pen features and many other cool features. Besides I have used this Rom for a long time on my Note 10.1 and I liked it very much. The rom is very stable with amazing response and battery life. For installing the rom you will need a custom recovery on your tablet. 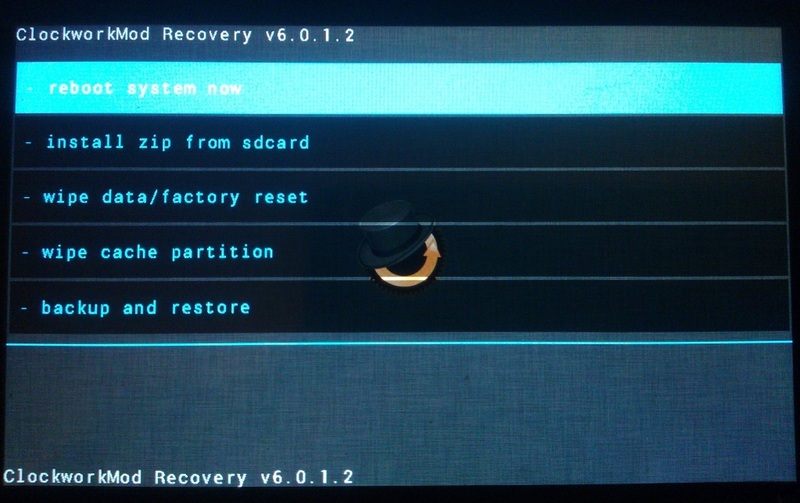 Follow the link below to install the custom recovery on your Note 10.1. First of all check the model no of your device by going to Settings>>About Phone>>Model No. Make sure it is GT-N8000 then proceed. Backup all your important data like contacts, messages, photos, videos etc. It is recommended to do a full backup using a custom recovery. Charge your phone up to 70% to minimize the risk of power down. Your tablet should have custom recovery installed. It is better if you do a factory data reset before installing the Custom Rom. Download the required files from the links below to install Gnabo Rom on your device. Follow the steps below to install the Gnabo Rom on your device. Download all the three files on your PC from the above links. Do not extract the files. Connect your Galaxy Note 10.1 to the computer. Move the three downloaded files to your device’s internal or external storage. After moving the files. Disconnect the tablet form PC and turn it off. Enter into recovery mode by pressing and holding Home+Volume Up+Power button for few seconds and release when the recovery menu appears. In the recovery menu scroll down to the wipe cache partition, select it and confirm the task. Note: You scroll down and up by volume buttons and select from power button. After that Scroll down to the option install zip from sdcard and select. Now again select the option choose zip from sdcard. Now find the Gnabo Rom that you moved to your device storage in the second step. If you find the Gnabo Rom then select it and confirm. The rom will now start installing. Wait for some time till the Rom installs completely. After installing the Gnabo Rom, again go back and this time find the Bootloader file. Select it and confirm. Now wait till it installs. After installing the bootloader, go back again and find the super su file. Select it and confirm to install. When you install all the three files (Gnabo Rom, Bootloader, Super SU) then go back to the main recovery menu. Select the reboot system now option to restart the device. Your device will now be running the Gnabo Rom. Wait for some time till it shows up the home screen. Remember that at first start-up it may take some time to show up the home screen. So have patience. And All Done!!! Well Done Guys!!! You have now installed the Gnabo Rom on your Galaxy Note 10.1 N8000. Hope you like our tutorial to install Gnabo Rom on Galaxy Note 10.1 N8000. If you have any questions then feel free to ask in the comments section below. Also share your reviews about Gnabo Rom. If your device is stuck at the Boot animation then you can solve this by doing factory reset form the recovery menu. You can get the instructions to solve this issue by following the link below. So, that was all for today. Time to go now. Bye!! See ya. Please like, share and subscribe. Comment to share your views. Follow us on twitter, facebook, GooglePlus. Hi. Very nice Rom. I installed on GT-N8000 and it is runing. BUT there is no Wifi! Everytime I switch Wifi on, it is instantly switched back to off. Hope I can get some helpful answer for solving that bug. hi do you find a solution for the wifi problem? e poi si possono spostare le applicazione nella microsd? buongiorno mi interessa la ROM. ma chiedo potrebbe funzionare anche sidesync con s4? grazie e attendo sua risposta. Post installation of this ROM, My Note 8000 doesn’t take full charge. It was charging to 100% before ROM update but now it is stuck at about 40%. Is there as way to reset the battery memory or something?